Have you been looking for a way to computerize your fixed assets or a more robust system to handle your challenging demands? 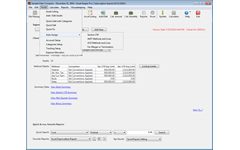 Asset Keeper Pro may very well be what you're looking for. 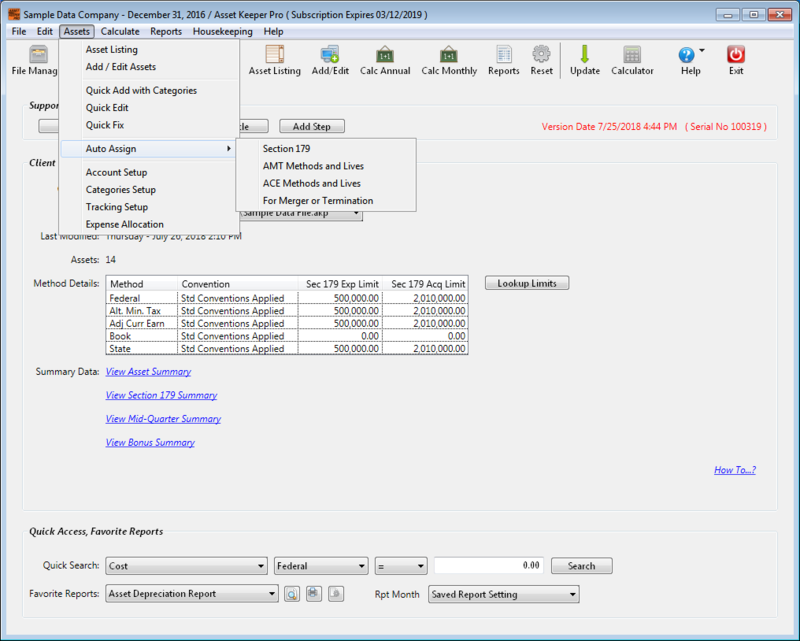 Whether you have 15 assets or 150,000, Asset Keeper Pro can handle it. Our diverse and extensive user base ensures that whatever your needs, chances are it has already been asked for and implemented in Asset Keeper Pro. If you are a professional accountant and will be processing your client's fixed asset data for tax preparation, you can rest assured that Asset Keeper Pro is 100% tax compliant. If your needs include financial reporting or internal accounting, Asset Keeper Pro includes a sophisticated calculation engine for monthly or period (13 fiscal periods) depreciation and projected depreciation. 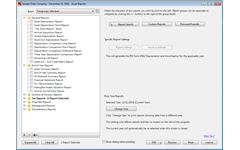 Introduced in 1985, and completely re-engineered in 2013, Asset Keeper Pro can meet your most demanding needs. Many of the unique features we include are a direct result of listening to our users and implementing those changes and enhancements that increases the flexibility and productivity from using Asset Keeper Pro. 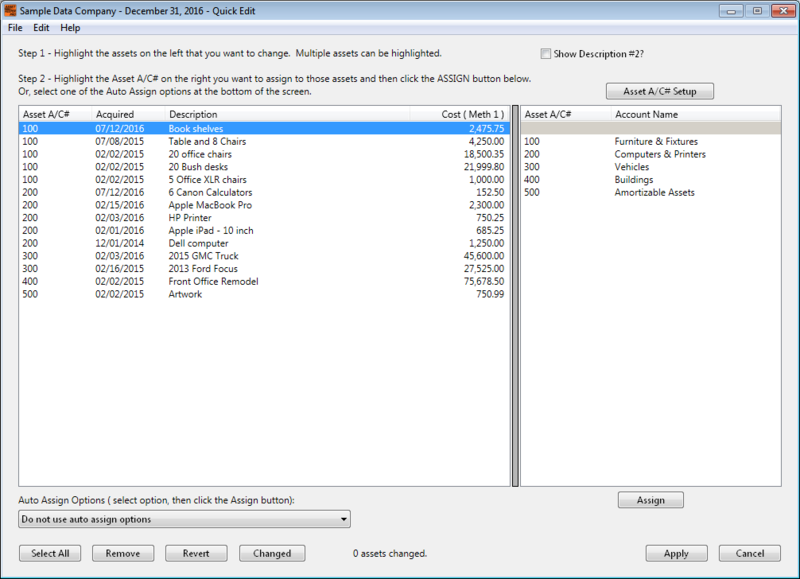 Consider what you get with Asset Keeper Pro before choosing where you put your data. Includes a site license, that allows you to use it on every computer in your office. 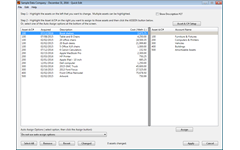 Maintain an unlimited number of client files. Enter an unlimited number of assets. Asset tracking included at no additional charge. Construction-in-Progress at no additional charge. Personal property reporting for most states at no additional charge. No additional charge for unlimited technical support. No additional charge for interim updates. The Add / Edit screen is where you enter your asset data. 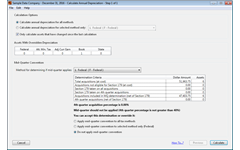 This screen allows you to enter a variety of information to identify, sort, group, and determine the calculations performed for tax or financial reporting. Asset Keeper has the ability to make changes to your asset data very quickly without having to edit each individual asset. 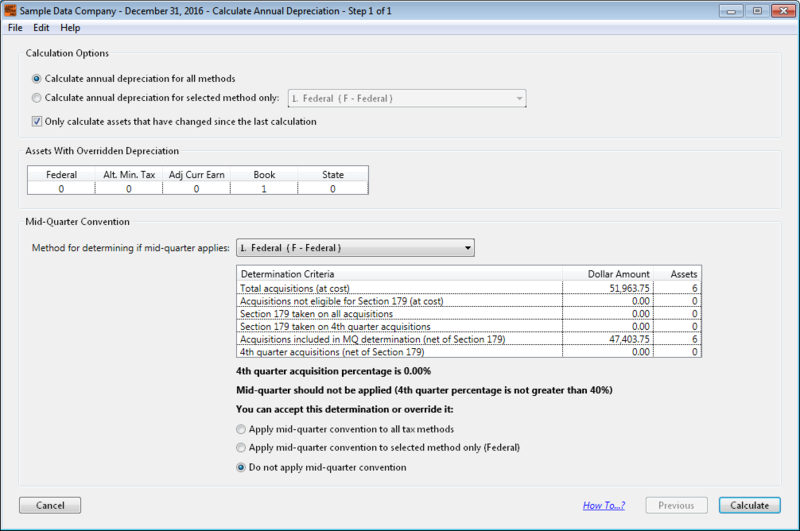 Asset Keeper has a very sophisticated calculation engine that can calculate annual, monthly, projected, short-year, pro-rated, and beginning accumulated depreciation. 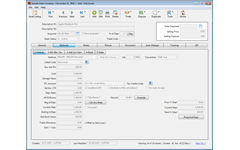 Asset Keeper Pro includes some unique features to meet the demanding needs of its users. 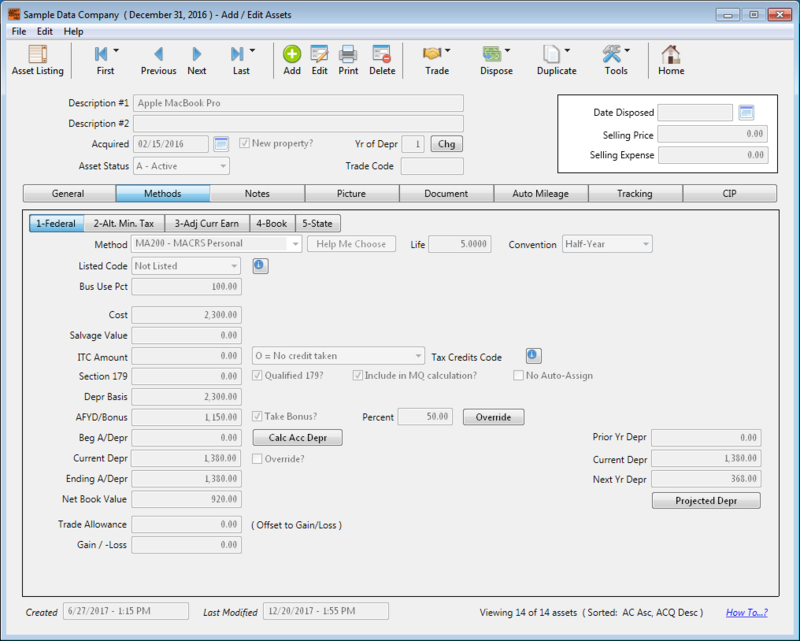 These include multiple auto-assign options, the ability to duplicate assets, trade assets, split assets, and much more. 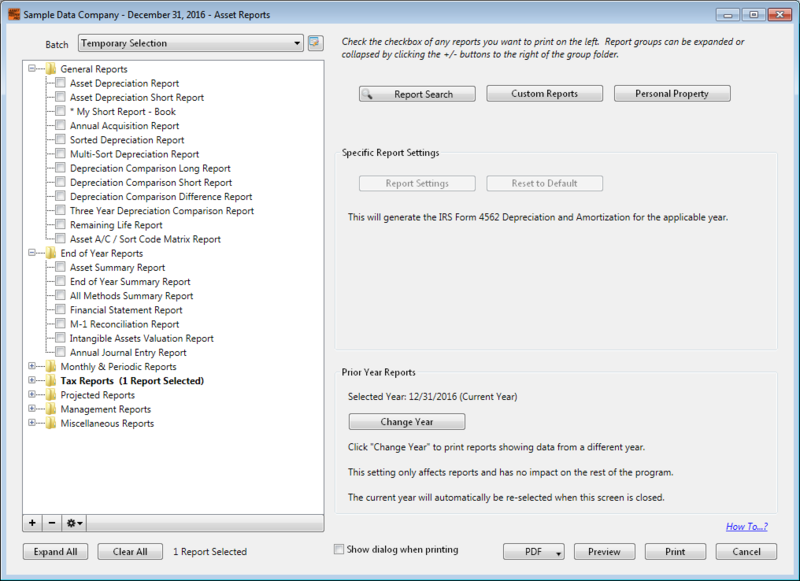 Asset Keeper has a multitude of reports that will fit your reporting needs. Reports are categorized in the following categories: General, End of Year, Monthly & Periodic, Tax, Projecteds, Management, and Miscellaneous.